A Promise (mixed bag): This forbidden romance drama starring Richard Madden of “Game of Thrones” and Rebecca Hall is a very typical film of its genre, offering little in the way of originality or cinematic qualities. Now playing at the IFC Center. Read my review from yesterday. 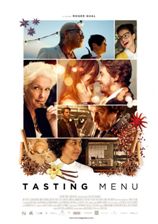 Tasting Menu (recommended): This food movie isn’t all about its appetizing dishes, but instead offers up a handful of fun and involving storylines that, for the most part, come together in a positive and enjoyable format. Now playing at the Quad Cinema. Read my review from yesterday. 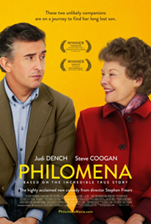 Philomena (recommended): Judi Dench deserved her Best Actress nomination for her endearing performance as an older woman who tries to find the son she had to give up for adoption decades earlier, but her film isn’t exactly a worthy Best Picture nominee. It’s a fine light-hearted ride with a few memorable high points. The Family (mixed bag): This mobster comedy from French director Luc Besson casts Robert De Niro as a mobster in living in the Witness Protection Program in France with his family. It’s far from ambitious but does provide an entertaining if unfulfilling experience. 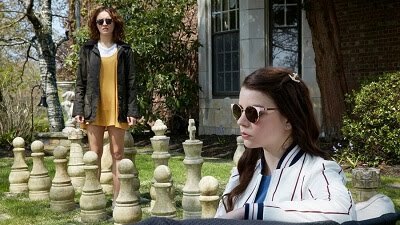 Scoop (mixed bag): This 2006 film was Woody Allen’s follow-up to the terrific “Match Point.” Allen’s shift back to comedy wasn’t so seamless, and Scarlett Johansson’s performance wasn’t nearly as compelling. This is far from one of Allen’s best efforts, but it’s still relatively enjoyable.